Welcome to the Jenkins/Jinkins family site. This site is a record of what we have learned so far about the family history. 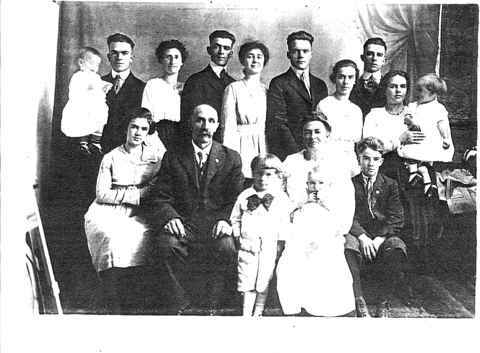 Although Jenkins is the preferred name used by this branch of the family today, the name was originally Jinkins. The family tree has been done by other family members. We wanted to have it on the web in case someone out there was looking for their heritage or could tell us where the mystery people went to. We found much of this information in public records before contacting a cousin. The pages he sent us confirmed what we had all ready found. He included copies of some pictures which brought the history alive. This is a work in progress, so please contact us if you have any information that would correct inaccuracies or make new connections. The research was inspired by Grace Broadwater Jenkins Long. Family members contributed much of the findings of the family history records. Assistance was given by members of the Allegany and Garrett County GenWeb sites. We did research and were helped by the following: Garrett County Museum, Oakland, MD, Ruth Enlow Public Library, Oakland, MD, the Grantsville Branch of the Ruth Enlow Library, Grantsville, MD, Allegany County Genealogical Society Library, Cumberland, MD, Allegany County Library, Cumberland, MD, Appalachian Room, Allegany College, Cumberland, MD, Allegany County Court House, Cumberland, MD, the Western Maryland Room, Washington County Free Library,Hagerstown,MD, and the Thomas Balch Library, Leesburg, VA. We visited the Maryland Archives in Annapolis, and the Library of Virginia in Richmond with the Institute for Learning in Retirement Genealogical Class of the Hagerstown Community College. All of the pictures were either the property of Grace B. J. Long or included in family materials.